SPX FLOW’s GD Engineering brand has a long and successful history with the petrochemical and oil and gas industries. The Bandlock 2 closure is the original and benchmark design for high pressure closures. It ensures inside pressure cannot open the closure and has been proven to provide a safe, easy to use access solution with over 20,000 units in operation worldwide. Used in horizontal, vertical, inclined or declined installations for pipeline pig traps, filters, coalescers, strainers, separators, meter skid systems, hydrocyclones or any pressure vessel, even the largest of these closures can be opened in under one minute without the need for any special tools. Bandlock 2 closures can be manufactured in sizes up to 90”, or larger depending on flow conditions. They are also available in sizes up to 50” with flange connections for easy replacement of blind flanges. A wide range of standard configurations and options are complemented by the ability to customize the closure to exact application requirements. Overall, it is the solution of choice for critical and demanding applications across the oil and gas industry, where it has an impeccable performance record from its vast installed base. 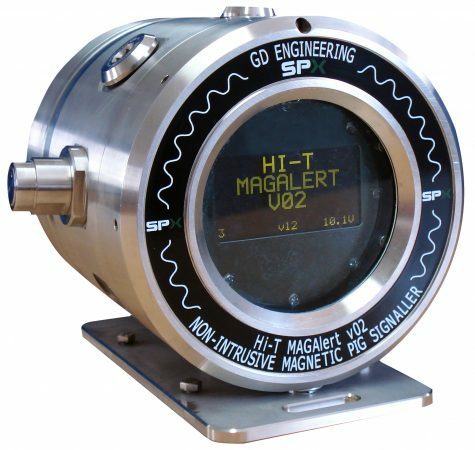 The Hi-T Magalert is very quickly and easily attached to a pipeline using ratchet straps or stainless-steel bands. 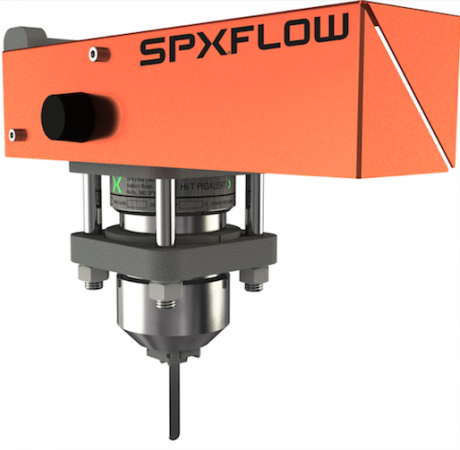 SPX FLOW also offers customized solutions for multiple pig launchers, to enable sequential pig launching operations to be performed remotely and without the need to depressurize the launcher.